Father's Day is a special time to show your Dad how much he means to you with a Personalized Keepsake box. 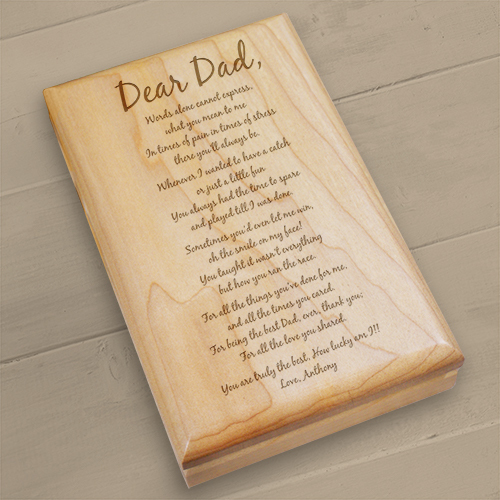 This handsome valet keepsake box is engraved with a wonderful poem expressing your feelings for Dad and what he brings to your life every day. 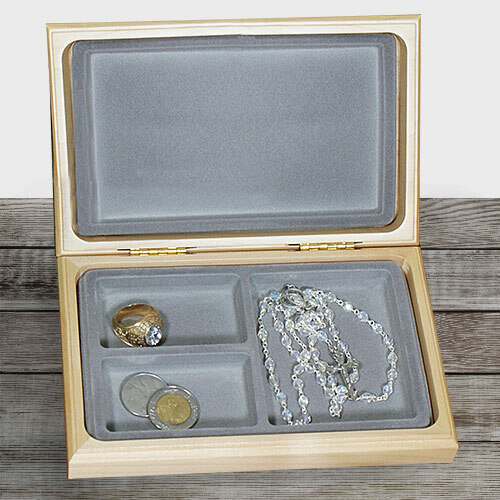 Our Personalized To My Dad... Father's Day Keepsake Valet Box is handmade of natural cherry wood with inside felt lined compartments and hidden solid brass hinges. This wooden keepsake box measures 7½ x 4¾" x 1½". Click over pictures to view inside of keepsake box. Personalization is included with your personalized memory box for dad! Select our Father's Day poem To Dad and personalize with any opening sentiment and any two line message after your choice of Father's Day poems for Dad or Create Your own Father's Day Poem, up to 20 lines. Not as well made as I hoped. No photos of inside on website. Was also unsure of size. My son cried and that's not easy to do. Additional Details GiftsForYouNow.com offers many fabulous and handsome Personalized Father's Day Gifts your Dad is sure to love. 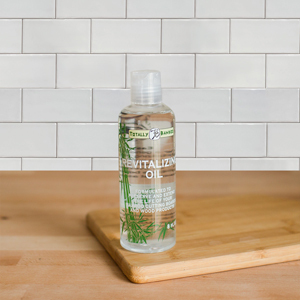 All of our Unique Father's Day Gifts include FREE Personalization from the leader in Dad Gifts - GiftsForYouNow.com.